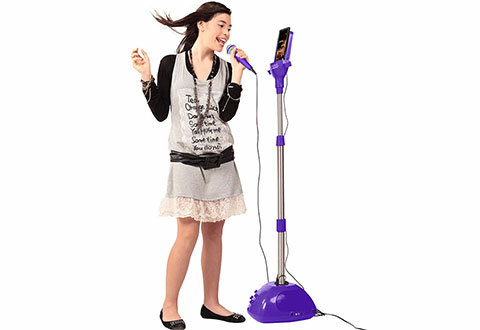 Organize a real karaoke party at home… and sing like your idol! 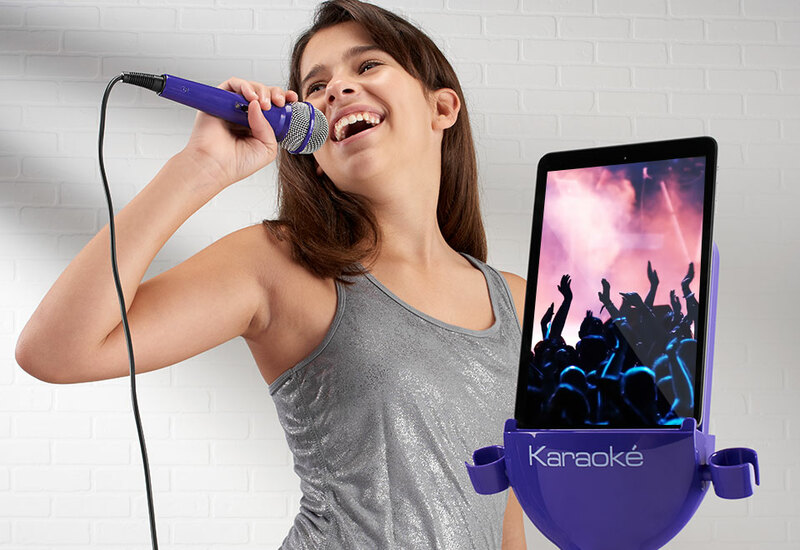 The Intelligent Kids Karaoke Machine is an adjustable stand with two 4-Watt speakers in the base. 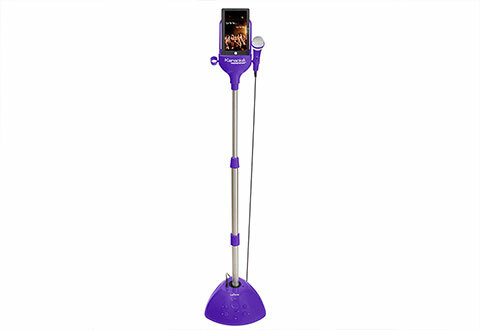 Simply plug in your smartphone, tablet or MP3 player with the included audio cable and sing along to the songs on your playlist. 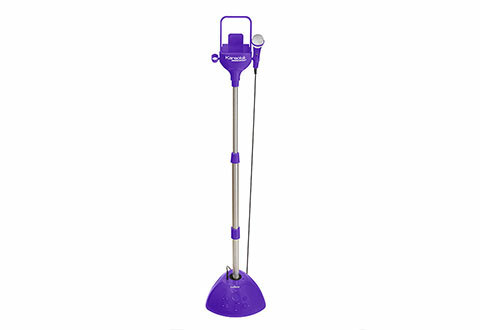 Features enhanced vocal effects, adjustable volume and dual microphone inputs for singing duets (includes one microphone). Make tonight a karaoke night and get the party started with the Intelligent Kids Karaoke Machine!